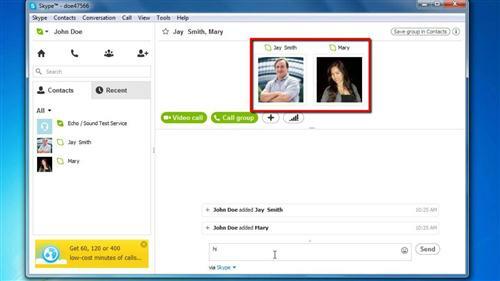 In this tutorial you will learn how to skype chat with more than one person. Open Skype on your computer and sign in using your Skype name and password. 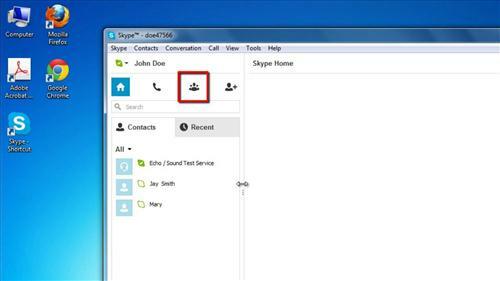 Once the Skype window is open, select the “Create a Group” icon just below your Skype name on the left hand portion of the window, just to the right of the icon that looks like a telephone handset. Drag and drop contact icons from your “Contacts” list into the “Drag contacts that you to add here” box that has appeared in the top right hand pane of the main Skype window. You can add up to 300 contacts to a group. Simply start typing in the “Send a message” box. Your message will be sent to all contacts in your group. This is how to skype chat with more than one person.